Home grown tomatoes are one of the most satisfying foods to plant yourself, with a crop that keeps on giving. They’re also fairly easy to plant, with the watering and feeding being the two main tasks along the way. Read on to discover how to grow them in your own garden. The nutritional value of tomato includes: Vitamin A, B, C, E, B-carotene, potassium, magnesium, selenium, folic acid, chromium, iron, copper and manganese. It also contains Lycopene, an antioxidant that contributes to the proper functioning of the heart and vessels, reduces cholesterol and has anti-cancer activity. If you are interested in planting your tomatoes from seedbed, you should start the process in late February to March. If you do not have a garden, a good idea is to plant your plant in a pot on your balcony. But if you have garden space available, you must prepare the ground before planting the nursery. The preparation is very simple. The only thing you need to do one or two weeks earlier, is to delve with a hoe into the soil in the first 10-30 cm and stir it to lighten it and add something to enrich with some organic substance that will bring us the maximum results producing veggies. Tip to remember! Plant the tomato seeds 7-10 days apart so that they do not yield all the plants together during the same period. So you will have fresh tomato on your plate for a longer period. Dig into the soil a groove and plant the tomatoes at a distance of 40-50 cm between them. Should you want to make more grooves, each groove should have a distance of approximately 80 – 100 cm. If it’s a pot, we place one plant on each. Once the groove has been opened and we have placed the tomatoes inside it, we cover the stems with soil only when the plant grows and open next to the watering groove. By doing this, we force the plant to strengthen its root system. 1 inch of water a week is the perfect amount for a tomato plant in normal conditions, moving closer to 2 inches per week in the summer. Watering thoroughly encourages the plant to reach deep within the soil and creates a strong root pattern. Watering earlier in the day can help to avoid evaporation issues. Whether they’re in grow bags, a greenhouse, or a pot, they can be watered the same. The tomato becomes quite a tall plant and must necessarily be resting somewhere, otherwise it will break. 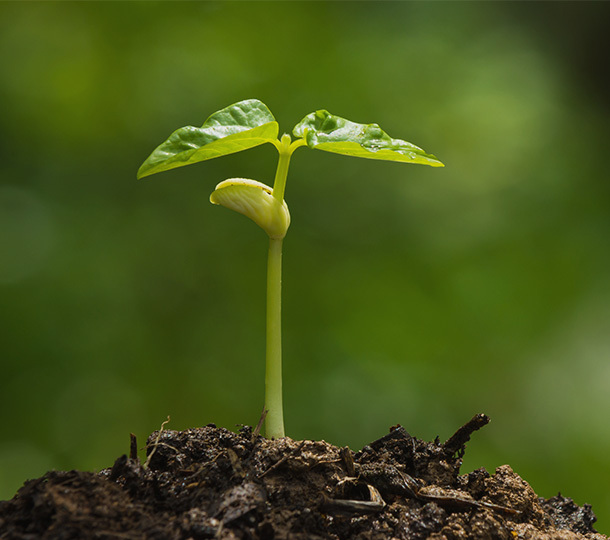 At first, when we plant the nursery and grow a little, we support each plant alone with a fine wood. When the plant begins to grow, we usually make by reeds, a rectangular support with vertical and horizontal reeds on which we tie the plants. You can also use string, by tying string to the roof of a greenhouse and then planting the other end underneath the root ball, you create a taught string that can train the plant upwards by wrapping the growing stem around it 2 or 3 times a week. This is recommended to be done in the afternoon when the plants are more flexible. Of particular importance is the proper watering of the plant. It would be best to water with an automatic watering system in the form of a drop. It needs frequent watering and should leave the water to stagnate. It is very important to remember that an irregular or little watering, stresses the plant and creates diseases that affect or either “kill” the plant. When the first tomatoes of the plant are about to mature, we proceed to the removal of the leaves near the tomato) in order to allow their better lighting, resulting in better quality. Once your tomato plant has reached the desired height, find the top flower truss, locate the main stem 2 leaves above it, and cut the tip out of it. This will stop the plant growing any taller, and allow the fruit to ripen. This is also known as pinching out or pinching off. If you want massive tomatoes, choose one of these varieties. Tomato plants prefer slightly acidic soil types, with a pH scale of between 6.0 and 6.8. You can adjust your soil by adding lime (if it’s too acidic, below 6.0) or by adding sulfur (if it’s too alkaline, above 6.8). Adding plenty of organic matter to your soil such as manure can really help your tomatoes grow well. This is a fantastic fertilizer for tomato plants. You need a grow bag that’s got plenty of depth, and contains a good tomato plant food (like tomorite by Levingtons), as this will provide the plant space and food to grow into, helping to produce bigger and better tomatoes. The key to the right pot size for tomatoes is the diameter and volume, as they need plenty of space to grow into! For determinate tomatoes choose an 18-inch (46 cm) diameter pot, and for indeterminate tomatoes choose a 24-inch (61cm) diameter pot. The larger volume the pot, the less you have to water and feed it, so think about this before you buy. What can you plant next to a Tomato plant? There are lots of lovely plants that can share the space of a tomato plant. These include those that benefit the plants growth and flavor. Certain plants repel insects and diseases, including Basil, Garlic, and Amaranth. Borage also prevents tomato worms. Plants that aid growth include Mint, Parsley, Chives, and Sow Thistle. Other companions include Carrots, Stinging Nettles (for taste), cucumber, onions, beans, asparagus, and sage. Dill – this plant inhibits the growth of tomatoes. Potatoes – increase the risk of blight in the soil. Fennel – also inhibits growth. Nightshade family – these plants can produce chemicals that inhibit growth. Cabbage Family (Cabbage, broccoli, brussels sprouts, kale, cauliflower, etc) – inhibit the growth of tomatoes. Blight – remove infected leaves and treat with a fungicide. Insects / pests (aphids, adult flies, whitefly, blackfly, greenfly) – chemical spray. Calcium deficiency – regular watering. Tomato cracking / fruit splitting – water the plant regularly. Blossom end rot – regular watering. Magnesium deficiency – feed with ground magnesium limestone. Mosaic virus – keep soil and tools sanitized, remove infected plants entirely. Tomato requires sunshine. So choose the brightest spot in the garden to plant them. Tomatoes need enough calcium. You can offer them more when you put it under the plant’s root, a spoon of lime off. For the best health of the plant, regularly remove the leaves of the bottom, which are susceptible to diseases. Remember that, as mentioned earlier, it is advisable not to plant all the tomatoes at the same time so you get the whole production. Plant 2-3 plants at the beginning, and after 10 days more so you will have fresh tomatoes for a longer period of time. By following these steps you will have your own production of organic tomatoes that will satisfy both your appetite as well as yourself since you will have managed to do so on your own.